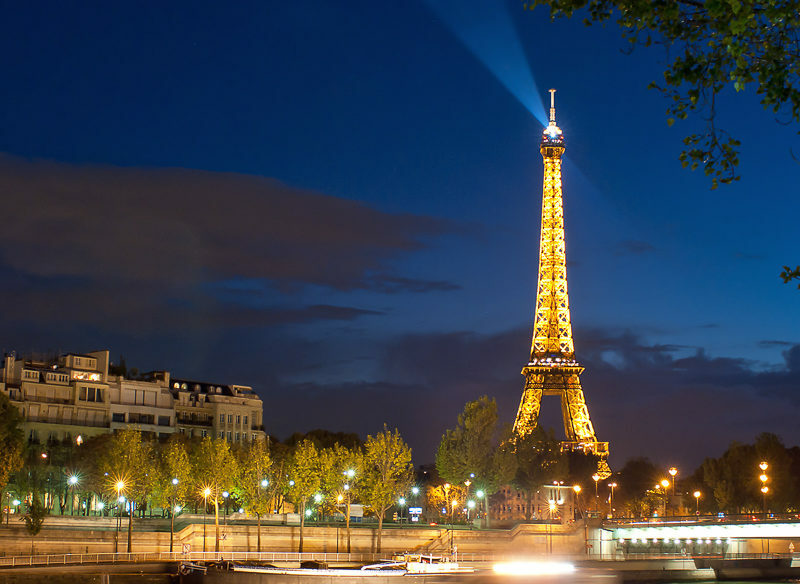 The Eiffel Tower lights up the night. Its charms are seemingly endless, its architecture splendid, and yet crack the surface like a fresh baguette and you’ll soon find Paris has more than a few quirks stuffed up its beret. Earn your honorary Parisian degree and start dreaming of your next rendezvous with these 10 things you never knew about the City of Love. What’s a city to do when its citizens resemble a zombie apocalypse, with commuters glued to smartphones like it’s their lifeblood? The Paris metro contains many nifty little things. Prescribe them some literature, of course. Over the past year or so, nifty little vending machines have started popping up in Metro stations where train riders can print out a short story at the touch of a button, for free. The French are fussy about their bread (and oh, we’re so glad they are because it tastes like the heaven all good carbs go to when they die). There are laws that stipulate the ingredients that can go in to the humble baguette (only wheat flour, water, salt and yeast) and that it must be made on the premises to make the crusty-yet-chewy breadstick legit. In fact, a law that had been in place since the French Revolution, that prevented boulangeries from closing for summer holidays without alerting authorities, was only scrapped in 2015! Dependant on the season, the once-hated, now adored icon of the City of Light can rise by as much as 6.75 inches due to wrought iron expanding in the summer heat. Enjoy the beautiful views of Paris from the top of the Eiffel Tower. Take the lift up and experience Paris like never before. The Eiffel Tower is also the most visited paid attraction in the world, is painted darker at bottom and lighter up top for atmospheric perspective, and was only meant to stand for 20 years but in 1909 when the permit ran out, they decided to keep it. The word eclair translates as ‘flash of lightning’, because it’s impossible not to gobble it down quickly. Enjoy the amazing and super tasty pastries whilst in Paris. At L’eclair de Genie, a new cocoa from some far-flung, exotic locale is honoured every month in their best-selling chocolate eclair, but most people who seek out this Marais institution, are doing so for the inexhaustible variety and Instagram-worthiness of Christophe Adam’s artful creations. Do as the Parisians do and frock up for some free Step Up-style moves (minus Channing Tatum) along the Seine. On any given evening in July and August, stroll along its banks and you’ll discover dancers practicing the sultry art of the salsa, traditional French folk dance or rock ‘n’ roll. Specifically, make for Jardin Tino-Rossi to be swept up in the romance of it all (or just watch from the sidelines if you’re more inclined). He claims he studied at a tiling school on Mars, wears a mask, and only works at night, but you’ve probably seen his work on your strolls along the Seine. Invader – the famous French street artist – has been plastering his pixelated 8-bit Space Invaders works all over the city (and the world) since his “invasion” concept popped into his mind in 1998. One of Invader (the famous street artists) famous markings on the streets of Paris. He even scores them on his website so you can play along. 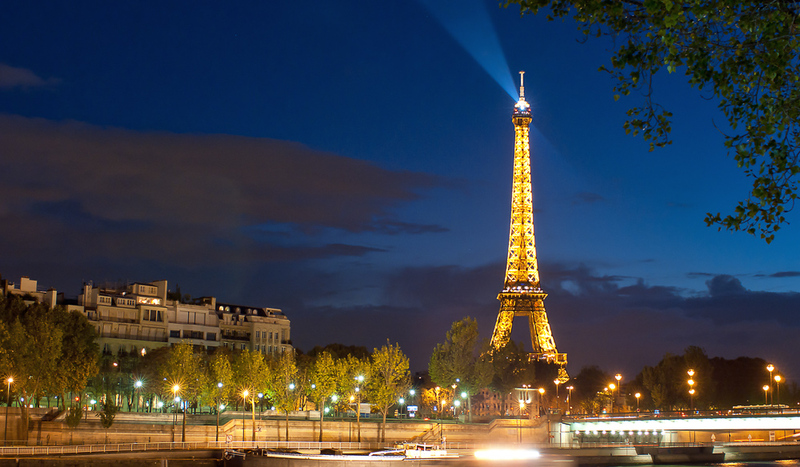 Those in the know pack their picnics and head for the Jardins du Trocadéro for front-row seats to the Eiffel Tower’s shimmery, flashy, nightly light show. The famous monument blossoms into a beacon of light for five minutes every hour, on the hour from nightfall until 1am (2am in summer), thanks to 20,000 light bulbs. Well on the first Sunday of each month, at least. The Musée d’Orsay is free on the first Sunday of every month. Go check it out! The Louvre, of course, is ridiculously popular on this day but there are 14 national (state-owned) museums to choose from, including the Musée d’Orsay and Musée des Arts et Métiers. If your visit doesn’t coincide, some collections are on show until 9pm or 10pm so sneak in for the late shift to enjoy the art (hopefully) all to yourself. The Palais de Tokyo is open until midnight every single night. It may fly under the radar and be a far more delicate affair than the hearty brew of an Englishman, but surprisingly, the origins of taking tea in Paris reach back to the days of Louis XIV. Paris does tea better than the Brits? A big call we know but the origins of taking tea in Paris reach back to the days of Louis XIV. Cardinal Mazarin – chief minister to the young Louis XIV – reportedly sought out its health-giving benefits for his gout and then Louis got in on the action, too. A few years later, it arrived in London. Air France, in conjunction with its partner airlines, flies to Paris from eight cities in Australia daily. And if you happen to be travelling in business class, you can expect lie-flat beds, Clarins amenities, caviar and French Champagne, of course. Charles De Gaulle airport is a 45 minute journey from the city. Once you touch down at Charles De Gaulle airport, you’re an easy 45-minute journey from the city. Visit www.airfrance.com/au for more information.